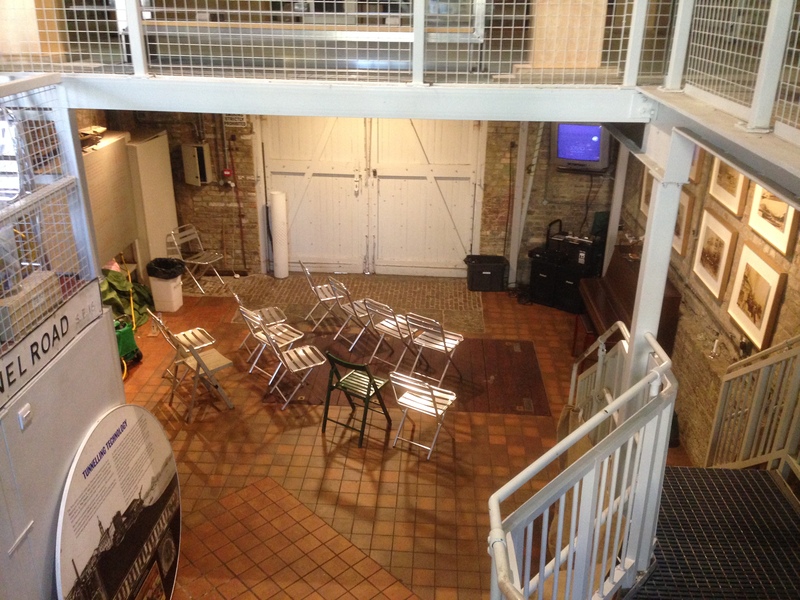 The Brunel Museum is located in Brunel’s engine house in Rotherhithe. It’s a bit ramshackle – there’s a piano and watering cans on the lower deck – but it’s sort of lovely because of that. 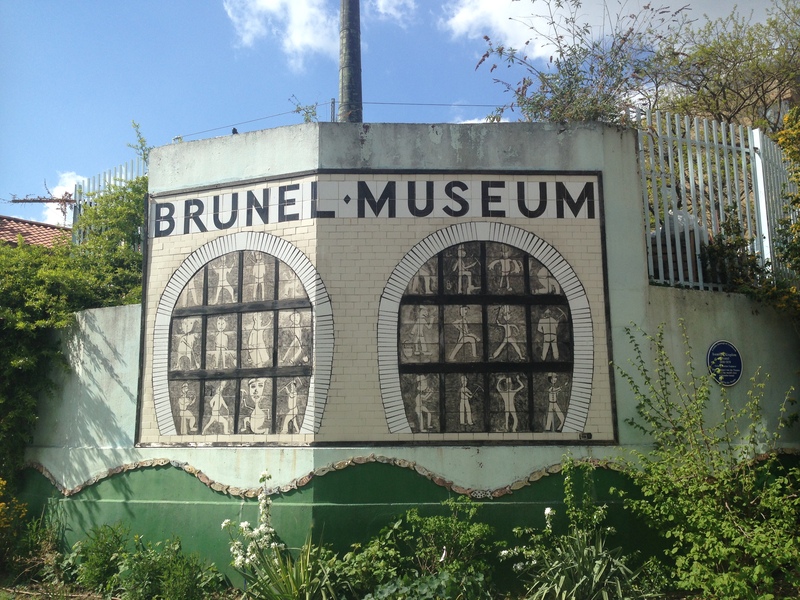 It feels a bit like someone was so passionate about Brunel, they made a museum in their shed. That’s not a bad thing – the passion really does show through. The tunnelling technique used for the Thames Tunnel was actually invented by Marc Isambard Brunel, Isambard Kingdom Brunel’s father. In the early 19th century, the Thames was as congested as the city’s roads are today. At any time, there were up to 3000 large merchant ships and thousands of small boats on the water. Any bridges were horrendously crowded, and the Thames waterman used this to their advantage, charging huge sums of money to ferry people from one side of the river to the other. Engineers struggled to build bridges downriver that were high enough for merchant ships to travel beneath. 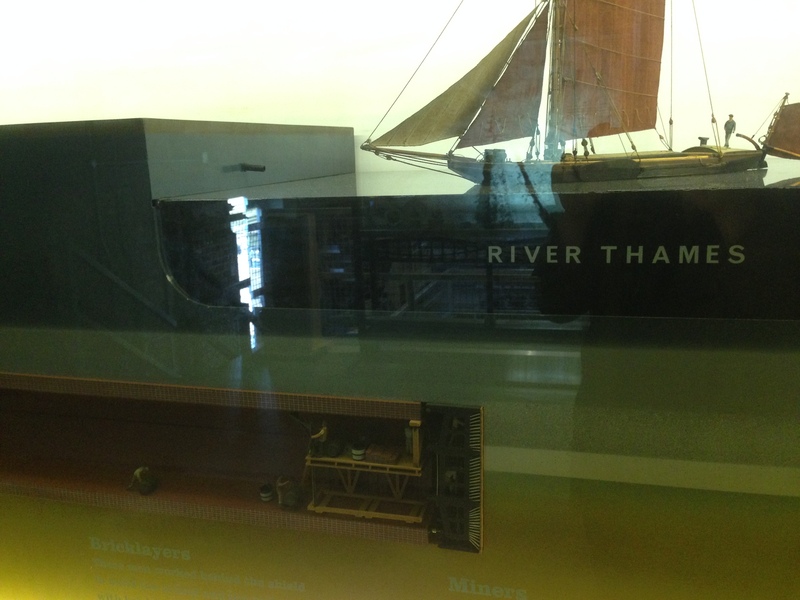 Brunel suggested ‘a bridge underground’ – developing plans for a tunnel beneath the Thames. The wet earth of the Thames riverbed collapses easily, making tunnelling impossible. Marc Brunel developed a tunnel shield, that held the earth in place whilst workmen build brick tunnel walls beneath. Isambard Kingdom Brunel was raised by his father to be an engineer. His education included several years at the prestigious Henri Quatre college in Paris and an apprenticeship with the world famous watchmaker Abraham Louis Breguet. Only a few months into the project, and at only 19 years old, Isambard took on the role of chief engineer at the tunnel site. The project moved at a slow pace. In optimal conditions, the tunnel advanced about 7 feet a week. This dropped to less than a foot a month in poor conditions. The tunnel took 18 years to complete – costing Marc Brunel his wealth and his health. 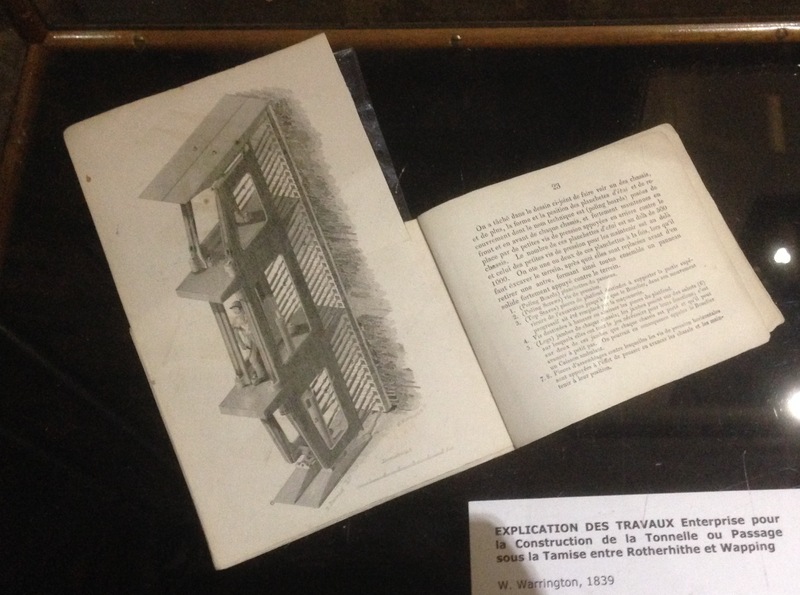 Once completed, the tunnel became a huge visitor attraction, and many guidebooks were published in different languages – explaining how it was built and offering detailed illustrations for interested guests. It was custom in the 19th century to celebrate a great achievement by producing a set of special medals. 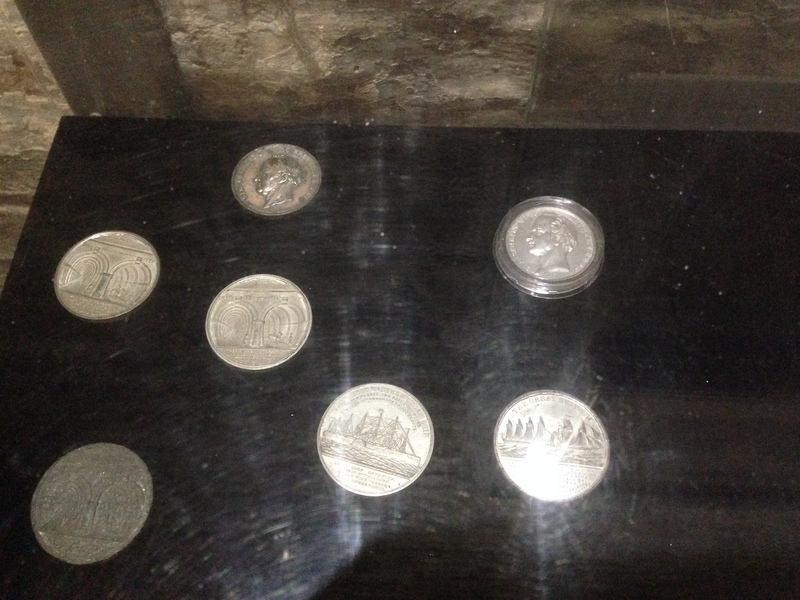 The tunnel was no exception and a commemorative set of medals were on display in the museum. The tunnel shafts were painted with famous scenes from around the world to amuse and educate pedestrians on their long climb. Today, the tunnel is used by Transport for London – making in the oldest section of tunnel in the oldest underground system in the world. #1. The Thames Tunnel was dubbed ‘The Great Bore’ by The Times. #2. At the time of the Thames Tunnel, Marc Brunel already claimed several famous inventions, including a boot-making machine, circular saws, an early sewing machine, and a device for copying out letters. #3. All digging for the Thames Tunnel was done by hand, as there were no power tools. #4. The tunnel was referred to as the eighth wonder of the world by governments around the world. #5. Isambard lived on the site of the Cabinet War Rooms, holding an office next door.